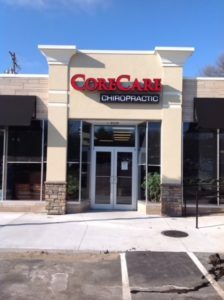 CoreCare Chiropractic and Dr. Craig Volzke are your source for state of the art chiropractic care, delivered in a patient centered environment. You are what matters most to us. We promise to listen, and to present you with honest options to address your concerns, your wants and your needs. It is our priority to educate our patients about Chiropractic and take an active role in their health and wellbeing. We understand that the structure of the spine dictates the function of the body. In other words, if we find a structural problem, we will need a structural solution. Chiropractic is more than relief of aches, pains or headaches. Our goal is to correct the problems that have led to these symptoms. We will do so by re-building your spine following the latest peer-reviewed literature and the most researched Chiropractic techniques. We strive to create a patient centered practice. We value the patients needs and will frequently discuss goals and progress. We encourage patients to ask questions about their health to help them better understand the process it takes to not only feel better, but stay better. Thank you for taking the time to visit our website. Feel free to call or email us with any questions or comments.